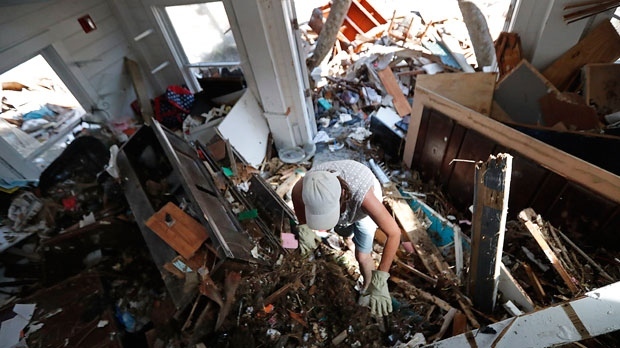 MEXICO BEACH, Fla. -- Missing relatives and worries that looters are just outside the door. Dirty clothes. Hours-long lines for gasoline, insurance adjusters, food and water. No power, no air conditioning, no schools, no information and little real improvement in sight. Michael slammed into Florida's Panhandle with 155 mph winds on Oct. 10 and retained hurricane-force winds deep into southern Georgia, also affecting the Carolinas and Virginia. Florida authorities on Thursday say the storm killed 20 people in the state, bringing the overall death toll to at least 30.